I updated my Subscribe & Save order today because my monthly subscription ships on the 8th of every month. I found some great deals on things I needed! Check out some of these deals! I’m going to start with this Ziploc deal because it’s one of my favorite Subscribe & Save deals. The price of $7.62 reflects a 15% discount off regular price of $8.97. Because I have 5 items in my order. Before you have 5 items in your order, this will show as $8.52 – 5% discount. 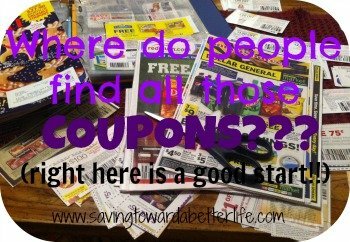 PLUS there is an extra 20% coupons savings you can clip! 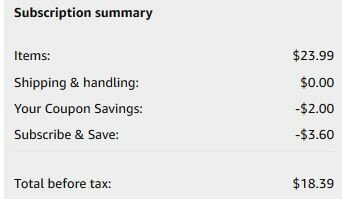 When you clip the 20% off coupon and have 5 S&S items, you can see that the price is knocked down to $5.83!! That’s more than $3 off regular price! 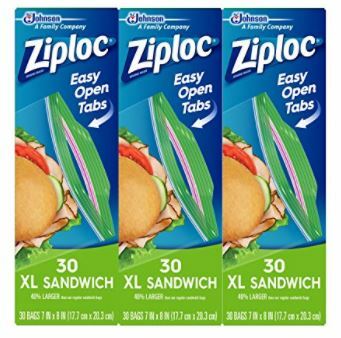 Click here to add Ziploc Sandwich Bags XL 90ct bags to your Subscribe & Save order. These are G’s vitamins. He’s quite picky and no other kind will do. I love when I can snag a deal. The price is $7.90 if you have at least 5 items in your Subscribe & Save item plus there is a $2.00 off coupon to clip! 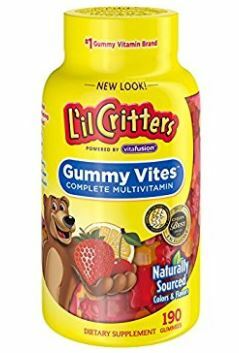 That makes the final price on Lil Critters Gummy Vites Complete Multivitamin just $5.90! Got cats? I get almost all my cat food from Subscribe & Save! My vet sells this food and it sure is pricey! But when Amazon runs it with a coupon and I can save 15% off with Subscribe and Save I can get it! Save 15% when it’s part of your Subscribe & Save order AND there is an additional 15% off coupon! 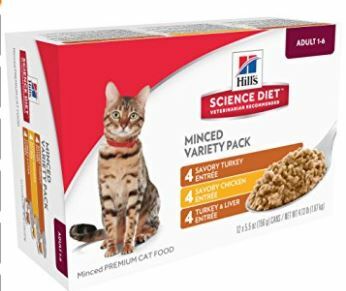 It brings the price of the Hill’s Science Diet Adult Variety Pack Canned Cat Food, 12 Pack down to just $8.88! I have a cup of this for breakfast almost every morning! And I’m running low! 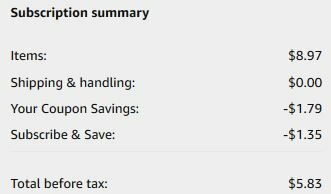 There is a $3.00 off coupon to clip, plus you’ll save another $1.59 when it’s part of your Subscribe & Save order of at least 5 items. That makes the price only $5.98! That’s almost $4.50 off the regular price AND makes it just $.50 per cup! That’s a good breakfast deal! 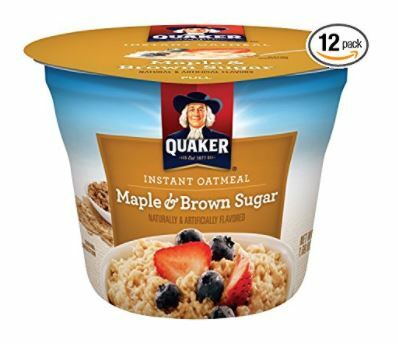 Click here to add Quaker Instant Oatmeal Express Cups, Maple Brown Sugar, Breakfast Cereal, 1.69 oz Cups (Pack of 12) to your Subscribe & Save order! 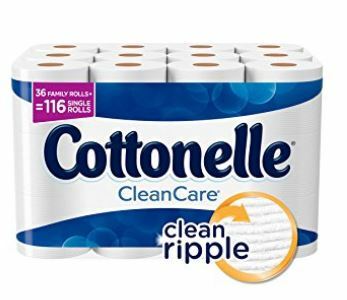 Cottonelle CleanCare Family Roll Toilet Paper (Pack of 36 Family Rolls), Bath Tissue is $23.99. 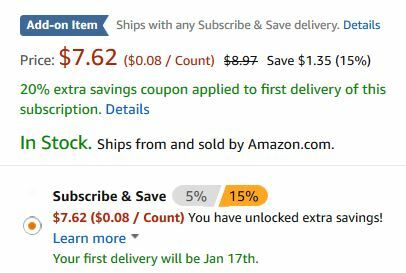 But when you clip the available $2 coupon AND it to a Subscribe & Save order of 5 items or more, you’ll pay only $18.39! You’ll have to sign up for recurring shipments of the item. You can set your next shipment at a 1, 2, 3, 4, 5 or 6 month interval. You can cancel after your first shipment with no penalty. The easiest way to do this is set it for 6 months away and then cancel the subscription after the first shipment. Your items will not ship right away. You’ll be assigned a delivery date when you start using Amazon Subscribe & Save. From that point on, your S&S orders will arrive on that day. Note that this is an arrival date. Any additions, changes or cancellations will need to be made in advance of the arrival date. There is no hard and fast rule on what day your order processes and ships. I always make sure my order is good to go a week before it’s scheduled arrival. 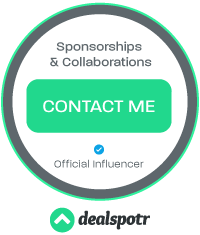 Subscribe and save items are discounted 5%. If you have 5 or more items in your monthly order you save 15%! Subscribe and save items sometimes have additional discounts in the form of “coupons” to clip!